Do you feel it...that crazy push pull of there is just. not. enough. time. I sure do. Currently, I've decided that each weekend I take one room - tear it apart, empty it, paint it including trim, and then thoroughly clean it and any contents that return to that room. It's kind of genius, other than the fact that it's killing me. I am 2-1/2 rooms complete in a 10 room home. I'm finding all kinds of weird sh*t each week during the destash - please note the comical Mad Menesque Pull Pull signage. I did finally select one of the pretty new Cavallini papers for the kitchen/dining area. Birds, of course. 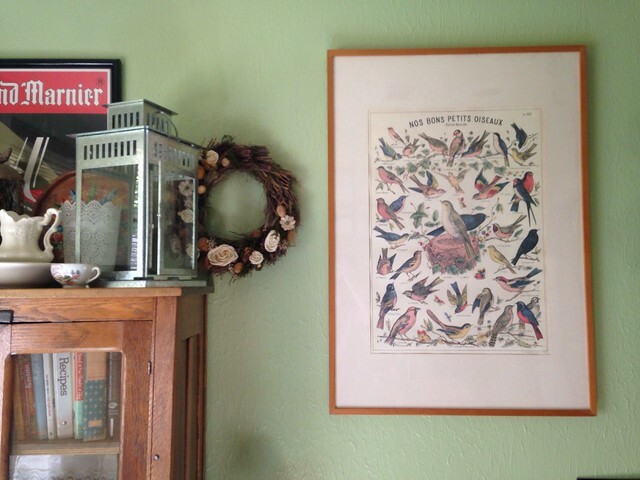 It's in an ancient Ikea frame that fit perfectly - unfortunately, I missed cleaning it thoroughly and once up, I realized a dead spider is sandwiched in with all the pretty birds...oh, well...I'll remove him someday. I've been super behind on my soap making (and it's the one thing I make that people seem to really go gaga over). 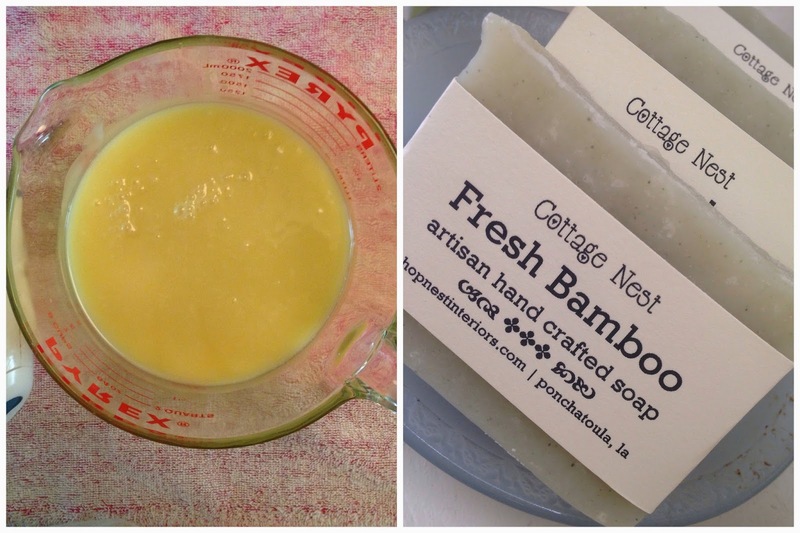 I had one batch of Fresh Bamboo ready for placement in the shop this week and I started a fresh batch of my Milk and Honey soap. And of course, whilst painting, I had the perfect view of these guys! A male rose breasted grosbeak and a female red bellied woodpecker. They seemed to not give one feather about me climbing up and down the ladder right inside their view - it's all about the seed and they all seem quite content to stay awhile.